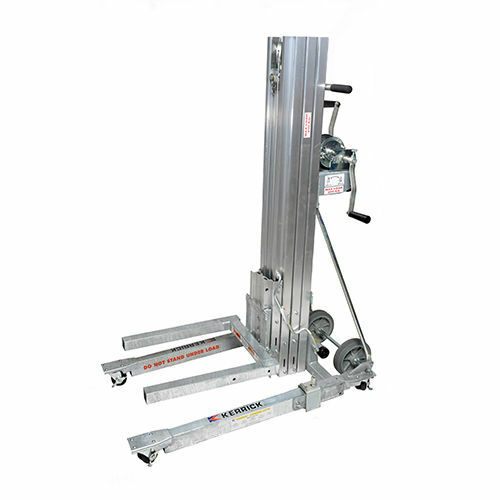 This material lift offers the full package and is ideal for HVAC contractors, electrical contractors, industrial maintenance jobs, steel erectors and facility management work. 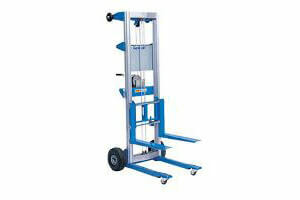 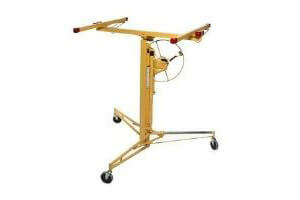 A true one man material hoist, it’s easily movable during operation and can handle loads of up to 200kgs. 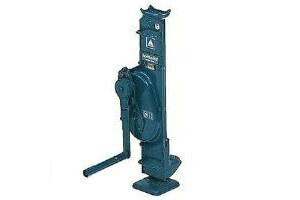 Features include one piece construction so there are no loose pieces that can get lost, reversible forks for maximum height if required, a built in winch and the ability to fit through standard doorways and into most SUV’s and vans.